Our websites complement and extend our print brand with breaking news, multimedia content and social media links. Commercialmotor.com has a tight focus on used vehicle sales, Motortransport.co.uk goes behind the headlines with in-depth reporting and analysis, and Trucknet is the UK’s most active online forum for truck drivers. Commercialmotor.com is the best place to go to for buying and selling used commercial vehicle stock. Buyers are drawn in by our huge selection of used stock, combined with practical content focused on running a haulage business. Sellers can rely on great response and benefit from a wide range of branding opportunities. Motortransport.co.uk is dedicated to providing fleet operators with the most up to date, relevant and reputable news, researched and written by a team of industry renowned journalists. The site covers industry and operator news, interviews, the Motor Transport Awards, Cost Tables and a comprehensive look at the movers and shakers in the Top 100 list. Not only that, we gather qualified data via a data wall, so that we can build and maintain our industry leading data offering. What do they make decisions on? 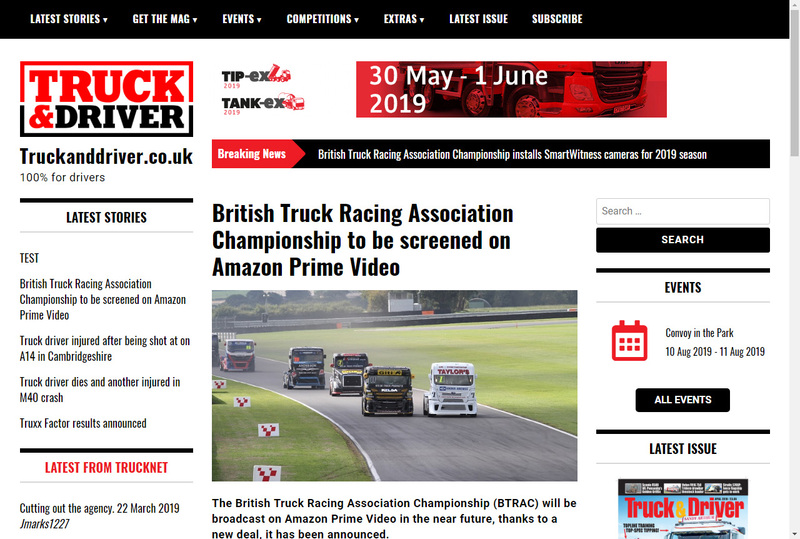 The Truck & Driver website accompanies the UK’s biggest selling monthly magazine written by professional drivers. It has news, reviews and great stories from all of the industry. Trucknet is the UK’s largest forum for truck drivers. With thousands of different topics these forums bring together professional drivers for discussion and co-operation. If you want to find out more about our products, or get in touch about ith us, please make an enquiry.